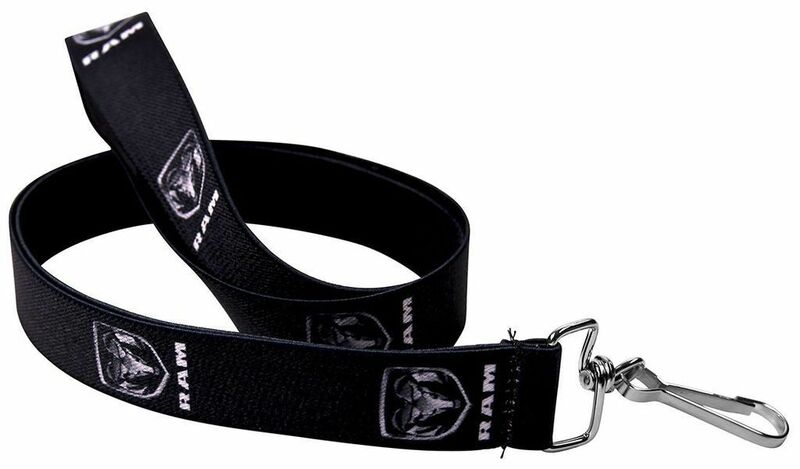 Black-Silver Ram Head Lanyard Key Chain Black-Silver Ram Head Lanyard Key Chain, Ram Head Lanyard Key Chain, Black-Silver Ram Lanyard Key Chain, Black-Silver Head Lanyard Key Chain, Ram Lanyard Key Chain, Ram Head Lanyard, Mopar Lanyard Key Chain, Dodge Challenger Lanyard Key Chain, Key Chain, [LY-1.0-WDR001 Ram Head Lanyard] - $15.95 : 3rd Strike Performance, Your Source for Late Model MOPAR Performance Parts and Accessories! Keeping track of keys is as simple as a snap, click and go with Buckle-Down Lanyard. Our lanyard conveniently snap around your neck, pocketed, or wrap around your wrist making it a great gift. Buckle-Down lanyard combine high quality materials and expert workmanship with designs from some of today’s most brilliant artists. Buckle-Down is the most innovative accessories company out there; with in-house manufacturing in New York and California. These high quality lanyard are perfect as a car key chain, or house key chain. Made right here in the USA so you know you are getting a quality product.